AUSTIN, Texas—Qualcomm Incorporated and Samsung Electronics have named two executives to join the Silicon Integration Initiative board of directors. Si2 is a global research and development joint venture that provides standard interoperability solutions for integrated circuit design tools. Udi Landen is Vice President of Engineering at Qualcomm Technologies, Inc. 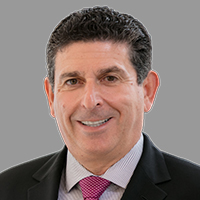 In his current role, Landen provides technical, management and business leadership for engineering teams at various international sites that focus on mobile and computing design enablement and CAD methodology automation roadmaps. Prior to joining Qualcomm in 2013, Landen held executive and leadership roles at Altera Corp., Mercury Interactive and Cadence Design Systems. He is a graduate of the Technion, Israel Institute of Technology. Seungbum Ko is vice president of the Samsung Electronics Design Technology Team. 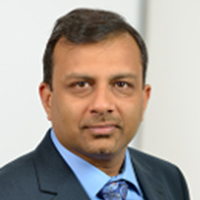 He is responsible for all memory design methodology activities for the Samsung memory division, and also manages the relationships between memory division and EDA vendors. 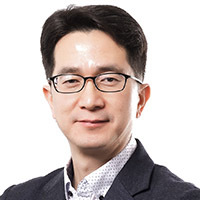 A 21-year veteran at Samsung, Ko’s expertise includes development of SDRAM, DDR, DDR2, DDR3, LPDD2, LPDDR3 and LPDDR4 devices. His internal honors include the Proud Samsung Award, the Jang Young-sil Award, and the Memory Award. Landen and Ko were approved by a vote of the Si2 board, which represents leading semiconductor manufacturers and foundries, fabless companies, and EDA software providers. Qualcomm and Samsung are active members of the Si2 OpenAccess and Compact Model Coalitions. OpenAccess is a standard application programming interface and reference source code for the design database used by all major chip design software suppliers. It provides end-user chip designers with inter-tool interoperability. Si2 standard, compact SPICE simulation models selected and supported by the Compact Model Coalition are used by every major circuit simulator in the semiconductor industry. Founded in 1988, Si2 is a leading research and development joint venture that provides standard interoperability solutions for integrated circuit design tools. Its activities include support of OpenAccess, the world’s most widely used standard API and reference database for integrated circuit design. All Si2 activities are carried out under the auspices of the The National Cooperative Research and Production Act of 1993, the fundamental law that defines R&D joint ventures and offers them a large measure of protection against federal antitrust laws. AUSTIN, Texas – Roger Carpenter, a Google hardware engineer with 30 years of experience in electronic design automation and chip design, has been elected to the Silicon Integration Initiative board of directors. Si2 is a leading research and development joint venture that provides standard interoperability solutions for integrated circuit design tools. Before joining Google, Carpenter held executive roles at three EDA firms: Magma Design Automation, Javelin Design Automation and Envis. His design experience includes positions at Wave Computing, Broadcom, Chromatic Research and Xilinx. A holder of more than a dozen patents, Carpenter received a Bachelor’s and Master’s of Electrical Engineering and Computer Science from the Massachusetts Institute of Technology. John Ellis, Si2 president and CEO, said that Google’s membership on the Si2 board reflects the increasing impact of vertical integration in the electronics industry. “A recent Si2 industry survey showed that over 80 percent of our end users develop some specialized, internal design tools. This proprietary software meets their unique needs and performance requirements,” Ellis said. “Directly accessing the Si2 OpenAccess data base by making use of our Application Programming Interface, designers and integrators have greater control over their bottom line by optimizing their design flow and, in turn, shortening product time-to-market. It’s critical that system houses like Google, along with their unique semiconductor design software needs, are now represented on the Si2 board.” The twelve members of the Si2 board represent leading semiconductor manufacturers and foundries, fabless companies, and EDA software providers. Founded in 1988, Si2 is a leading research and development joint venture that provides standard interoperability solutions for integrated circuit design tools. All Si2 activities are carried out under the auspices of the The National Cooperative Research and Production Act of 1993, the fundamental law that defines R&D joint ventures and offers them a large measure of protection against federal antitrust laws.